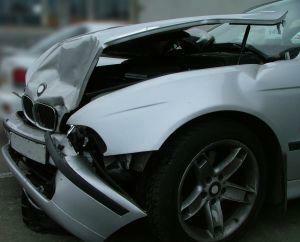 If you are injured in a car accident in Atlanta, you need to take pictures at the scene of the collision. Today, most everyone has a phone which is also a camera. If you have your phone with you, you can use it to create a visual record of how the accident happened and what its aftermath was. This evidence can be invaluable. If your phone does not have a camera, you may wish to keep a basic camera in the car with you so you can take pictures in case an accident ever does occur. Pictures from the scene of a collision can be invaluable evidence for crash victims who wish to pursue a claim for compensation. An Atlanta car accident lawyer can help victims to use pictures and other evidence to help them make a successful damage claim to get the money they need for economic and non-financial loss. Whenever you get into a crash, you should call the police to come to the crash scene after an accident. As you wait for police to come, you should begin the process of taking pictures of the cars involved in the accident, of the area where the accident took place, of debris on the roadways, and of damage to the vehicle. Pictures can help you to show how bad the crash was. If you have photos showing the cars have been totaled, this gives a visual representation of just how serious the accident was. This can be used to help convince an insurer or a jury that you really did sustain serious injuries for which you deserve significant compensation. Pictures can help you to show how the crash happened. If there is confusion and disagreement about who was at fault, pictures can shed some light onto what occurred. The pictures may show debris in the road or damage to specific areas of vehicles, which accident reconstruction specialists and other experts could analyze. Pictures can help explain factors leading to the accident. You could show, for example, how visibility was blocked or how the intersection where a crash happened may have been set up in such a way to increase the chances of a collision. These are just a few of many key reasons why taking pictures is important. However, taking pictures is just one of many things to do at a crash scene to protect your rights. You also need to get medical attention right away so all accident injuries can be diagnosed and you need to get in touch with an attorney so your lawyer can begin helping you to gather all of the evidence you need to make a strong case.